Beautiful, Like New, 4 Bedroom 2 Bath Home With Lake and Fountain Views from just about anywhere in the House. 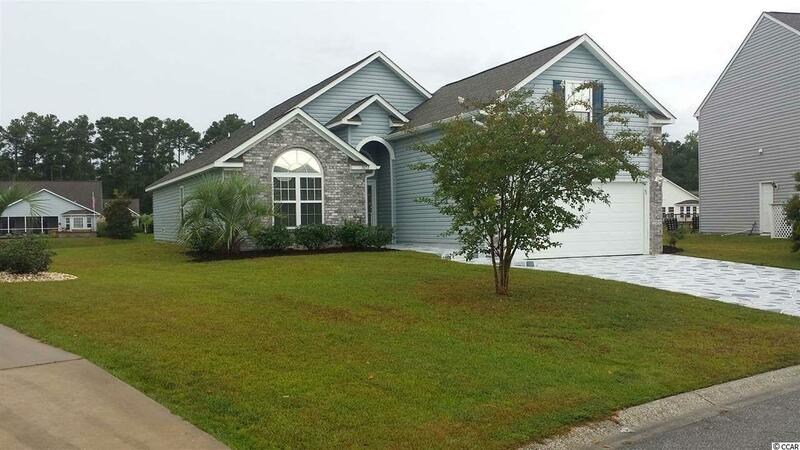 Located in Desirable Cascades at Azalea Lakes, Just minutes from Market Commons or the Beach. EZ to See. This Home has 12 ft Ceilings in the Living Area and 9 Ft Ceilings in the Master Bedroom that provides a Great open feel. The Many Upgrades include New Granite Countertops, Stainless Steel Appliance Package, Crown moulding throughout, New MoHawk Engineered Hardwood Floors, 5 1/2 inch Baseboards, New Carpet in the Bedrooms, Upscale Bathrooms, New AC Unit just installed.